LASVEGAS-. America prepares its great party of Taekwondo, with the President´s Cup tournament, to be held in Las Vegas, this October (12-14). 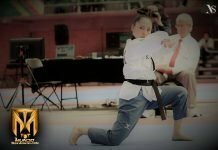 The important event will have the modalities of Poomsae and Kyrougy in all ages. Panamerican Taekwondo President, GM. Ji Ho Choi, considers that the number of participants and countries represents a great success for the Taekwondo of America. They have confirmed more than 1595 competitors from 40 countries. Mexico, Peru, Congo, Ghana, Chile, Peru, Panama, Puerto Rico, French Polynesia, Morocco, Canada, United States, Argentina, Aruba, Trinidad and Tobago, India, Costa Rica, Korea, Austria, Brazil, Jamaica, El Salvador , Dominican Republic, Colombia, Greece, Guatemala, Moldova, Cambodia, Japan, Guyana, Nicaragua, Egypt, Uruguay, Spain, Nigeria, Suriname, Italy, Benin, Australia, Haiti, Great Britain.